San Diego’s top party destination, Mavericks Beach Club, will be throwing the party of the year on Super Bowl Sunday! Located just a few blocks from the sand in Pacific Beach, this multi-level entertainment complex, with 5 indoor/outdoor bars, 38 TV’s and plenty of food and drink options. Get #brunchfaced off of $20 All-You-Can-Eat BBQ and raffle prize giveaways during halftime. Bring your friends for fun, food and of course, football! It’s like they know me! 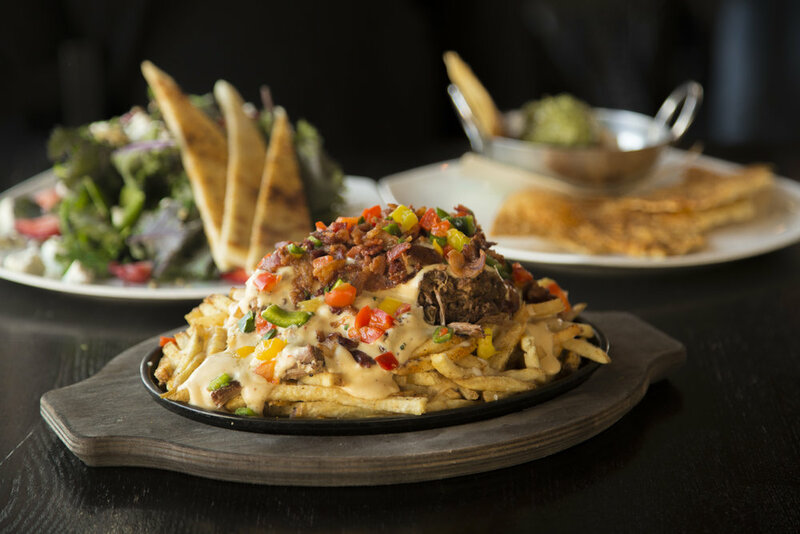 If you plan to watch the game at The Smoking Gun in the Gaslamp District, you’ll want to show up early as they have some super deals on Super Bowl Sunday. $18 All-You-Can-Eat-Wings (for two hours) can be paired with $9 22-oz. steins or a Holy Smokes Did You See that Play! boilermaker special (a beer + a shot). Along with awesome food and drink specials, The Smoking Gun will have a half-time raffle for a complimentary Walk of Champagne Brunch, featuring bottomless mimosas, to mourn the end of football the following Sunday. Try the new Awesome Dog made with ¼ pound all-beef hot dog, homemade sauerkraut, red onion, green chili mustard and sandwiched on a homemade bagel roll. You won’t find a better deal in town and seating is first come, first serve - so plan to arrive early and sport your team’s colors (I’ll be sporting red and blue)!!!! I love the top gin cocktail and they have shareable disco punch bowls to share with your friends! Patriots fans unite, Rams fans beware….this is your ultimate die-hard New England Patriots sports bar from the staff to the patrons! This is the biggest sporting event of the year if you’re a true Pat’s dan there’s nowhere better to watch the game! It’s going to be an epic West Coast vs. East Coast match up between the Los Angeles Rams and our New England PATRIOTS! Drink and food specials all day long will get you wicked tipsy and have you pahking ya cah until Monday morning! Regardless of the outcome the party will continue on in the Underground for No request Sundays! You can’t go wrong with their michelada or Margherita pizza! Family-friendly Park 101 is gearing up for the biggest game of the year by offering football food and drink specials! 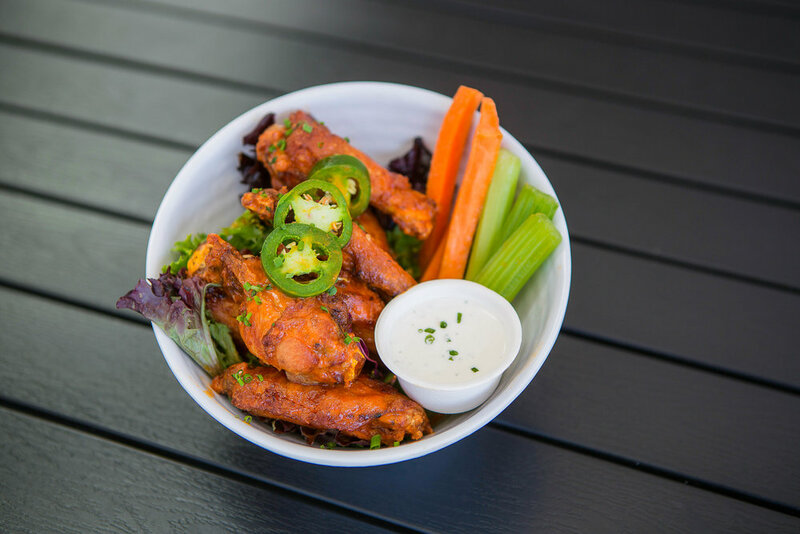 Enjoy half-off wings, along with $5 Tecates, Kona Brewing and Guava IPAs, $5 house Bloody Marys and $5 Cupcake Prosecco mimosas! All I can say is; who’s getting brunchfaced? Also available will be Park 101’s bucket o’ beer special, where you get five Kona Big Wave cans for $20. You won’t miss a minute of action as the game will be played on Park 101’s giant outdoor projector, because Tom Brady bigger is just better! Cheer on your favorite team during Sunday’s Big Game at Draft Republic! Head to either Draft Republic locations in La Jolla and Carlsbad on Sunday, February 3rd and enjoy Happy Hour Specials all day along! Catch every touchdown on our 100” projection screen in La Jolla or on one of our 50 flat screen TVs in Carlsbad! 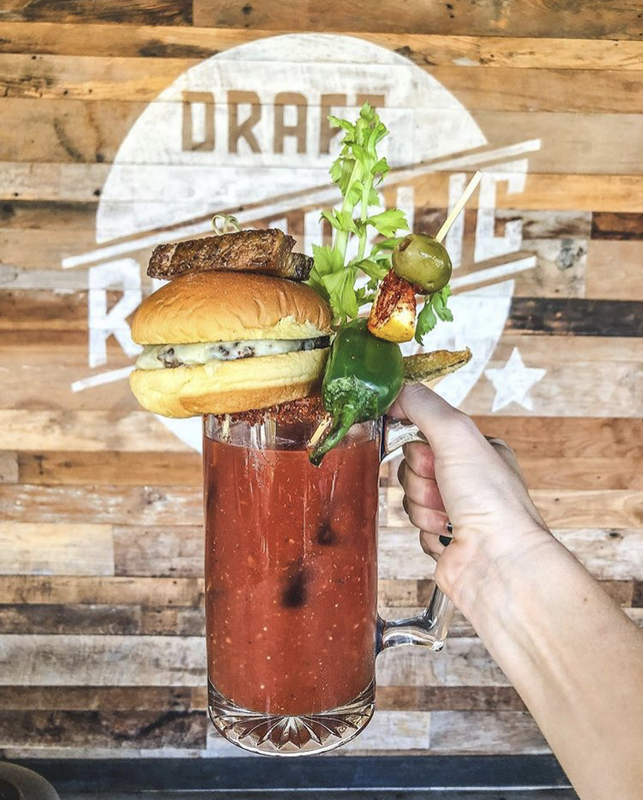 Sip on a Bloody Mary of epic proportions or choose from their insane list of beers on tap. If this game gets to intense calm your nerves with a game of shuffleboard! PB’s favorite beach bar, The Duck Dive, is celebrating Super Bowl LIII in a big way this year! Along with the game kickoff at 3:30 p.m., the beach bar will kick off their game-day specials which include $7 22 oz. Coors Lights in a stainless-steel stein, which guests will be able to keep, $20 buckets of Miller Lite, a $20 touchdown platter with Dive Wings, calamari and oh-so-yummy Duck Fat Fries, and $10 sharable BBQ Chicken and Meat Lovers flatbreads, no matter who you’re cheering for, you will definitely leave brunchfaced. A crowded, rowdy bar not your thing? You can bring the bar home with you from Bub’s @ the Beach. Folks can wow their guests on the big day by taking advantage of Bub’s @ the Beach’s 50 wings for $52 takeout deal, which comes complete with your choice of up to two sauces, plus ranch and bleu cheese. That’s right, treat your game day squad to the grub they deserve, and prepare to gorge on Bub’s famous grilled wings at your own epic game day party. Be sure to call ahead, so they have time to prepare your game day feast. Catch the Big Game outdoors at the covered back bar and lounge, or post up inside to catch the action. Searsucker will have every game day snack you could imagine, plus a whole bourbon roasted pig with all the fixin's. Choose sides with specialty team-themed craft cocktails (you know what side I’m on), or stay neutral with $15 Bud Lite buckets. Plus, plenty of games and contests to keep you busy if you're not into the commercials, with incredible giveaways throughout the day! A wee-ones menu will be available for the kiddo's--bring the whole family! Judging from their stories, seems like LA fans will be more at home. Now your biggest problem is choosing where to watch the big game! 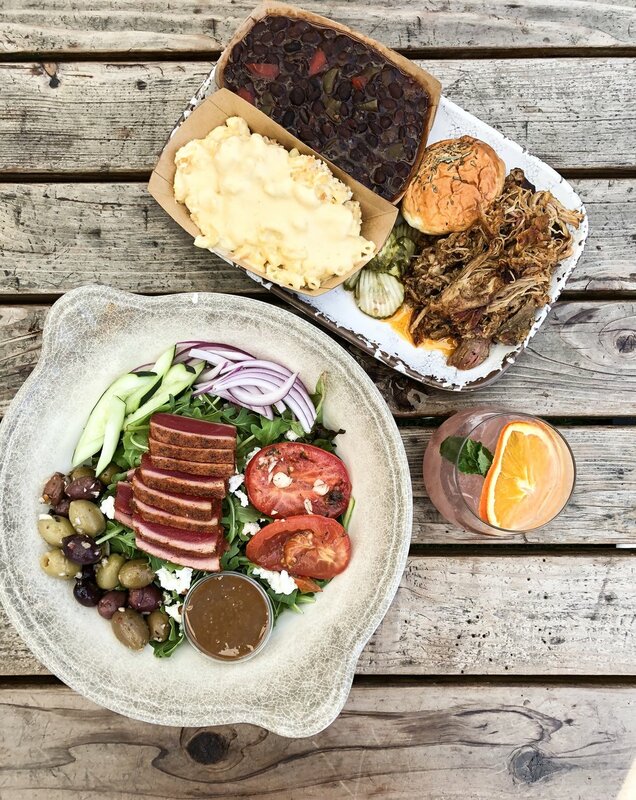 I’ve left you with my top picks on where to get brunchfaced this Super Bowl Sunday!